The KAB company are experts in the production and manufacturing of innovative & extremely comfortable seating for various types of markets. They started off as vehicle seat producers which they became world renowned for. They were known for creating chairs worldwide that supplied the comfort and ergonomics people want from their car seating. Through this extensive experience, they were able to take their expertise in development, design and production in the car seating industry and transfer this into the office seating industry. This, as well as their car seating, then was able to reach out to countries such as Australia, Belgium, Sweden, North America and many more. 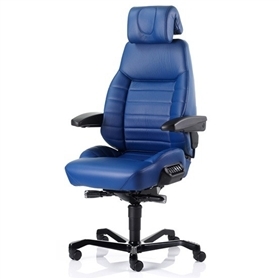 The KAB Controller Heavy Duty 24 Hour Chair is a great example of KAB’s vast experience in the seating industry. This chair supplies absolute comfort throughout any seating activity/work. 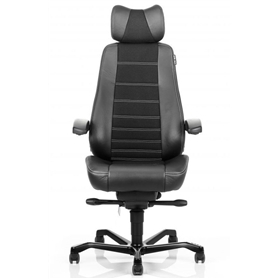 This chair has a range of extra lumbar supports, backrests, adjustables and more. These ergonomic elements and extra support supplied by the chair all contribute towards a reduction in risk of back and neck injuries from your long sessions of seating. 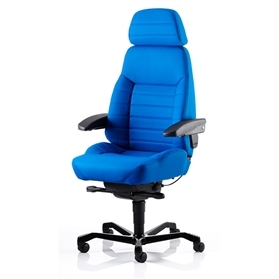 Our KAB Controller chair comes in a wide variety of colours and fabrics so we only supply the highest of quality of chairs with the aesthetics to suit. Check out our videos and pictures of the chair to get a better understanding of what the chair looks like and to discover how it can improve your office! Want to talk to someone about where you can find the best CBS monitor arm for you? Please contact us or call 0845 600 1917.